Daenerys’ dragons take flight July 16, the premiere date for Season 7 of HBO’s Game of Thrones. The cable network finally announced the start date, after production delays prevented the usual April season premiere. Executive producers David Benioff and D.B. Weiss wanted certain types of weather for the new season. The show filmed in Northern Ireland, Spain and Iceland for the season. The new season will include just seven episodes, with the eight and final season consisting of between six and eight episodes. 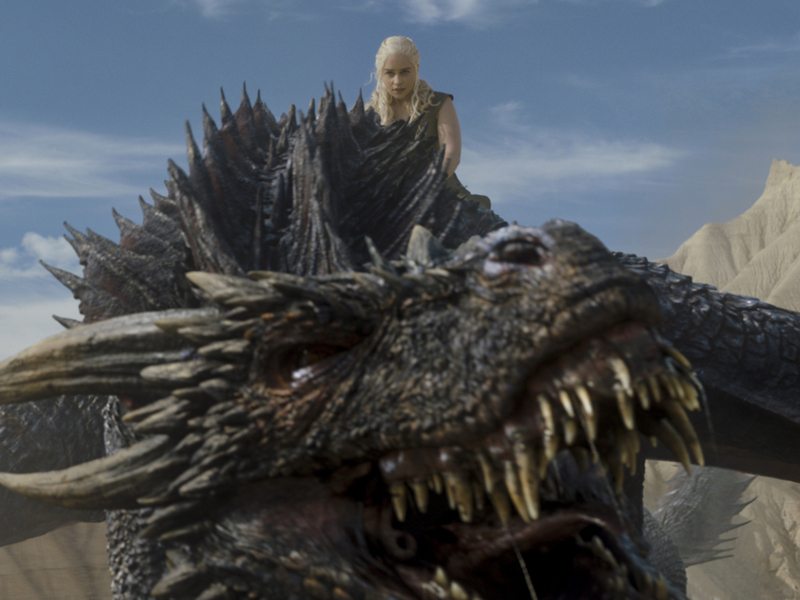 The Emmy-winning series is based on the popular book series “A Song of Ice and Fire,” by George R.R. Martin. FX has renewed its Emmy-winning comedy “Baskets” for a third season. The Thursday-night show recently aired the eighth episode of its second season. The Season 2 finale airs March 23. Co-creator Zach Galifianakis stars as twins Chip and Dale Baskets. Louie Anderson plays their mother, Christine, a role for which Anderson won a supporting actor Emmy last year. Martha Kelly also stars. Louis C.K and Jonathan Krisel co-created the series with Galifianakis. Pop network’s most watched original show, “Schitt’s Creek,” will return for a fourth season, the network says. The Eugene Levy-led comedy currently is in its third season airing Wednesday nights. The season finale airs 8/7c April 5. Levy stars as Johnny Rose, the patriarch of a once wealthy family now living in a small town he once bought as a joke. Catherine O’Hara plays his wife, Moira Rose. Daniel Levy and Annie Murphy star as their adult children, David and Alexis. Chris Elliott plays town mayor Roland. Emily Hampshire, Sarah Levy and Jennifer Robertson also are series regulars. Get ready for more 19th Century oddities. FX has given “Taboo,” Tom Hardy’s impressionistic look at the time period, a second season. Despite critical disdain, the series delivered 5.8 million total weekly viewers, according to FX. Hardy stars as James Keziah Delaney, who after many years in Africa returns to 1814 London to inherit what is left of his father’s shipping empire. Instead, he finds conspiracies and treachery as he battles to hold on to territory in the Canadian wilds. Hardy, his father Chips, and Steven Knight co-created the series. The CW has renewed its Archie update “Riverdale” for a second season. Showtime will brings back “Billions” for a third season next year.